Should Lawyers Ever Follow Clients on Facebook, Twitter, or LinkedIn? These days, the world is getting smaller and 'privacy' is becoming a word that has a rather ephemeral meaning. Everywhere you go professionally and personally, it seems to be standard protocol to find someone's social media profile online and connect. If only it were that simple. If you're a lawyer, these connections raise some sticky ethics issues. Here are some quick tips to remember when using Facebook, Twitter, LinkedIn, or other social media to connect with clients or opposing counsel? A Mandatory 'Must' in Modern Marketing? Social media is quickly becoming the sine qua non of the modern lawyer. The trouble is that sometimes you can end up collecting connections of people on your accounts whom in the end you cannot even recall. Nonetheless, with a little management, you can add hundreds of possible connections and all of these spell opportunity. 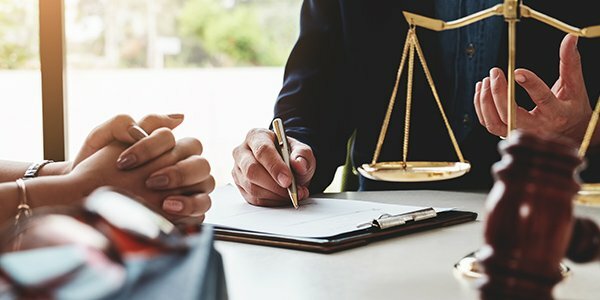 As an attorney, you need social connections. Currently, the sentiment is that you obviously cannot connect with opposing counsel and discuss an ongoing matter. Do that and you'll enter a world of hurt. But if you're planning to connect for social and professional reasons outside of a current case, then by all means -- go ahead...before the ABA releases a comment to amend confidentiality. Your first plan of attack is to send Facebook invitations to those with whom you have a prior relationship. A direct solicitation (of a client) could get you in trouble. Having a prior relationship might shield you from some from ethics violations. Once you're connected, use the means outlined below when considering whether to "like" what they do. We caution you to do this sparingly, however. You don't want to end up liking everything that happens to a connection. In the past, we've written about the benefits of getting a social media platform to manage all of your professional connections -- for both you and your office. Nobody can consciously stay on top of hundreds of professional contacts. On Facebook or Hootsuite, you can create special lists of clients and contacts you'd like to pay particular attention to. You'll get daily updates in a rather orderly fashion that will tell you what that particular contact is doing. Since you're linked, you can make a comment and stay fresh in that contact's mind. And that's really what it's about, isn't it?